The St. Paul Home + Landscape Show is coming to the St. Paul RiverCentre! Check out what’s new for your home, work on a make-it take-it project, and more. Do it for less if you plan ahead with these St. Paul Home + Landscape Show Discount Tickets. The Main Stage sponsored by OlliePop Design + Remodel offers presentations revolving around remodeling, interior design, landscaping and more. Attendees will get budget saving tips, DIY ideas and education from local speakers and national celebrities. Located in the Upper Wilkens Hall. Four landscapers from all over Minnesota will showcase their expertise with using Backyard Getaways as their inspiration and theme. The Upcycle Challenge is back again ready to give you inspiration for your bedrooms. Upsy-Daisy will upcycle rescued night stands from the Twin Cities Habitat for Humanity ReStore to create one-of-a-kind pieces using the One Nightstand Edition as their theme. All pieces will be auctioned off at the show with proceeds benefiting the ReStore. 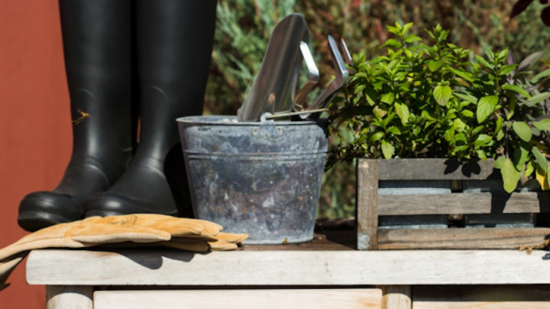 Some of the most requested items from our consumers are garden products. They spoke, we listened and now the Garden Market is here for all the latest in flowers, plants and garden décor to take yards from dull and drab to bright and beautiful. Attendees can get their hands dirty and have the chance to work on a fun project that they get to take home with them. Projects created and led by the Minnesota State Horticultural Society. Tickets are $9 at the door or $7 on the home show web site, but you can get them for two for $10 (just $5 each) from TwinCities.com Daily Deals HERE!